An effective dengue vaccine will not only have a positive effect on public health, but also help save the Government money. Universiti Malaya research consultant Emeritus Prof Datuk Dr Lam Sai Kit said that if Sanofi Pasteur’s dengue vaccine works as promised, using it “could be very cost-effective for the country”. It was reported that the French pharmaceutical company had announced that Phase III of its clinical trial for the vaccine, conducted in South-East Asia in 2011-2013, including Malaysia, showed an 88.5% protective result against dengue haemorrhagic fever and decreased hospitalisation from dengue by two-thirds. According to Prof Lam, a study by Universiti Malaya Medical Centre and Brandeis University of the United States had estimated the cost of dengue in Malaysia to be US$102mil (RM325mil) annually. He also noted that according to the trial results published online in The Lancet yesterday, the protection given by the vaccine after the first dose was almost the same as the protection after full three doses. “If this is so, it will make the administration of the vaccine in dengue-endemic countries much easier, and certainly less expensive,” he said, though adding that further study needs to be done to validate this result. However, Prof Lam pointed out that while the vaccine showed 75% protection against the DEN-3 and DEN-4 serotypes of the dengue virus, and 50% for DEN-1, the 35% protection given against DEN-2 was not statistically significant. 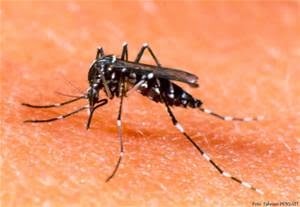 Developing an effective vaccine against the dengue virus is tough as it needs to be effective against all four serotypes simultaneously; otherwise, a vaccinated person would be prone to severe complications should he be infected with a serotype he is not protected against. It had been reported in April that the vaccine reduced the risk of dengue in 56% of cases involving children aged two to 14 who received the vaccine in three injections spaced six months apart. The vaccine was reportedly found to be safe with no serious side effects. Its dengue vaccine head Guillaume Leroy said the company would start applying for licensing by early next year. Leroy added that the company’s production site in Lyons had been producing the vaccine since last year, and would be able to supply 100 million doses of vaccine a year. Accordingly the price of the vaccine would only be determined after discussions with the World Health Organisation and the countries interested in purchasing it. Leroy added that Sanofi Pasteur intended to make it available first in countries suffering the most from dengue. The study’s principal investigator, Dr Maria Rosario Capeding from the Philippines’ Research Institute for Tropical Medicine, noted that Indonesia, Malaysia, the Philippines, Thailand and Vietnam – the five countries involved in the clinical trial – account for about 70% of dengue cases worldwide.